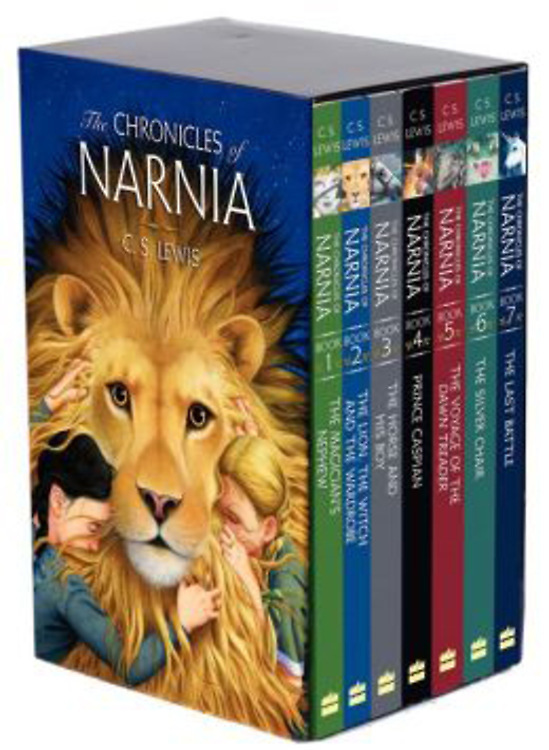 This paperback box set of C. S. Lewis's classic fantasy series The Chronicles of Narnia includes cover art by two time Caldecott Medal-winning illustrator Chris van Allsburg and the complete black-and-white original interior art by Pauline Baynes. For over sixty years, readers of all ages have been enchanted by the magical realms, the epic battles between good and evil, and the unforgettable creatures of Narnia. This box set includes all seven titles in The Chronicles of Narnia--The Magician's Nephew; The Lion, the Witch and the Wardrobe; The Horse and His Boy; Prince Caspian; The Voyage of the Dawn Treader; The Silver Chair; and The Last Battle--with interior black-and-white art by Pauline Baynes, the original illustrator. Want it in two business days? Order by 4/26/2019 2:00:00 PM and choose Overnight shipping at checkout.